The Microsoft Store is selling a 256GB Core i5 Surface Pro 6 with Type Cover for $1000. Today’s a good day to ditch your bulky laptop and upgrade to Microsoft’s stunning Surface 2-in-1. The Microsoft Store is selling a Core i5 version of the Surface Pro 6 for just $1,000Remove non-product link, complete with a fancy Type Cover keyboard thrown in. That’s $330 off the list price for the two items, and thus a really great deal. 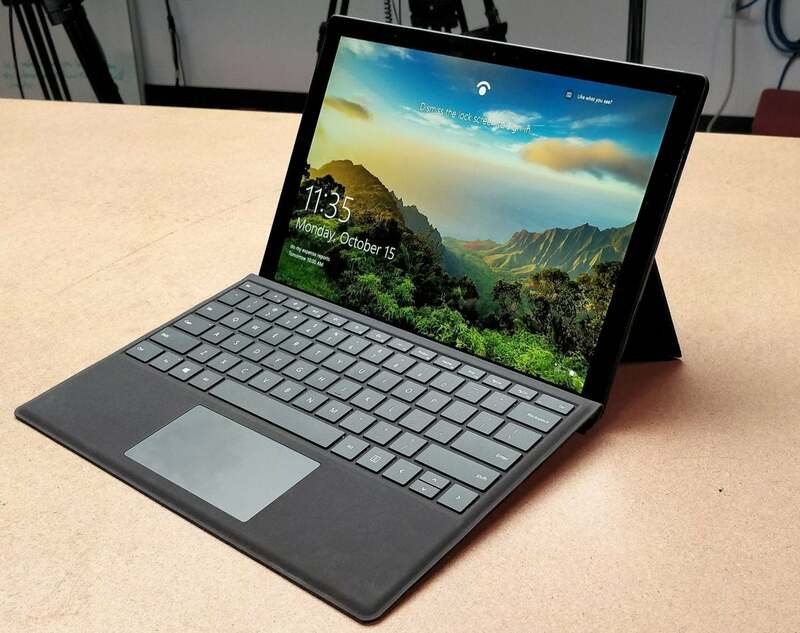 This particular Surface Pro 6 features an eighth-generation Intel Core i5 processor, a 256GB SSD, and 8GB of RAM. That’s not a bad combination at all for a laptop-y tablet you can use while out and about town or traveling. The Surface Pro 6 is rocking a 12.3-inch display with 2736-by-1824 resolution (267 pixels per inch). It also has one USB 3.0 port, headphone jack, microSDXC slot, and a mini DisplayPort. We reviewed the Surface Pro 6 back in October, awarding it with an odd “average” star rating of 3.5 out of 5 while still marking it as an Editors’ Choice product. That’s because this tablet doesn’t do much to advance the Surface line compared to its predecessors, but it still offers great battery life with solid performance, and the Surface design is still excellent. Overall, it’s hard to go wrong with the Surface Pro 6, but some people do find the Type Cover unsatisfying to use. We found the keys to be a bit stiff, although it’s still very usable for long periods. If you’ve been considering swapping out your laptop for Microsoft’s sleek 2-in-1, make your move while this deal’s still going on.